Today I bring you a fab website/subscription box that is based around Mental Health and Anxiety. It’s the Blurt Foundation and their Buddy Box. I received one last year and I loved the idea behind it, I then ordered myself this month’s Buddy Box and it came a couple of days ago, So I have decided to review it and have taken some photos too. Here are my photos taken of what I received and I will explain a little about it after. First of all, you receive the Buddy Box card with the social media outlets on the front. Along with this, you get a little note about posting your box on social media and how to win a box for you and a friend. Use the tag #BuddyBox. They also include two postcards ion the box. 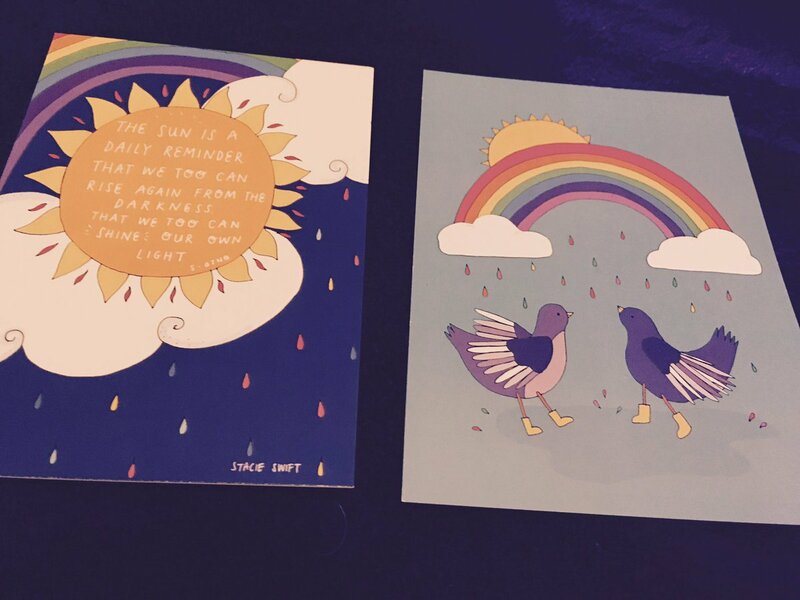 One had a rainbow theme and birds which is super cute whilst the other had a quote. These have now been pinned on my wall. 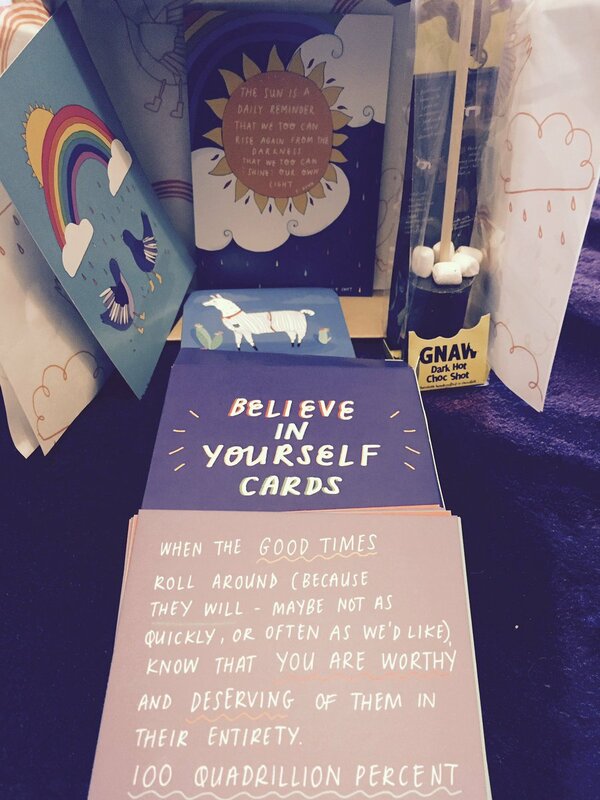 The next thing to come out the box was believe in yourself cards. I love the idea behind these. It is a set of cards with inspiring cards and quotes. These are going to be fab and I am going to be using them over social media and on the blog. They also include a super cute coaster. Personally, I LOVE this so much. 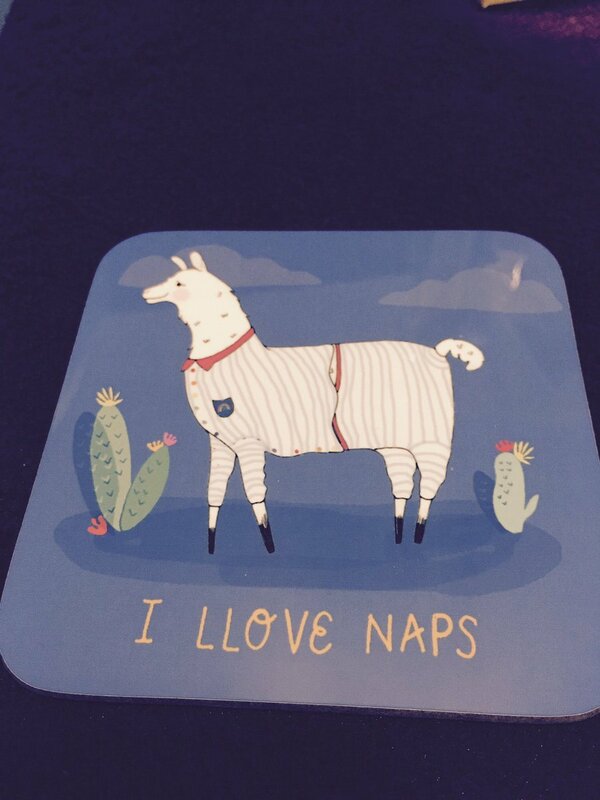 It is me down to a T (I love naps and llama’s)! Then my favorite thing… (Which I shall drink tonight now I have done the blog post) is Dark Hot chocolate shot. 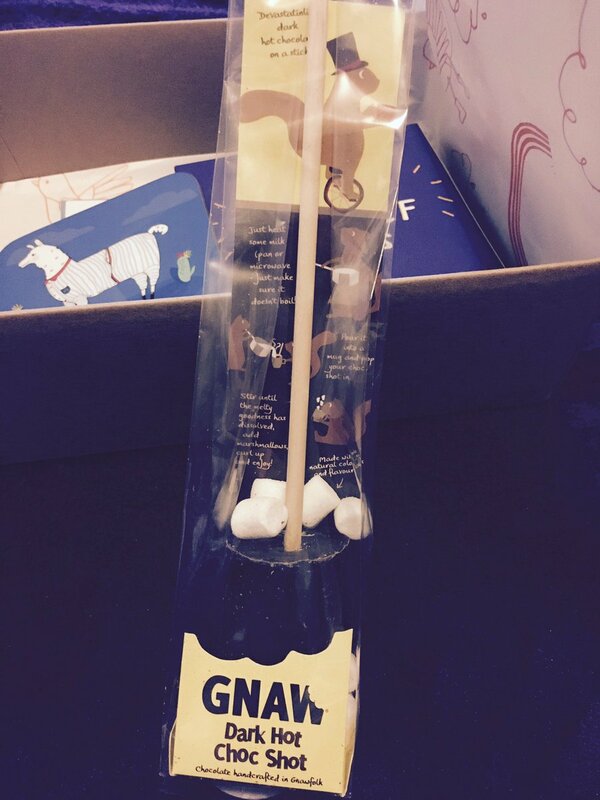 I love dark chocolate and marshmallows. Perfect to use the the coaster! If you want some more information about the Blurt Foundation and their Buddy Box, you can find it on the following link. I have also included what they say about their Buddy Box on their website below. So if you need a pick up or know someone close to you that needs a pick up then go subscribe. Trust me you will not be disappointed. Do you suffer from anxiety? We have a selection of articles to help you relax during an anxiety attack and provide tips to increase your self esteem.